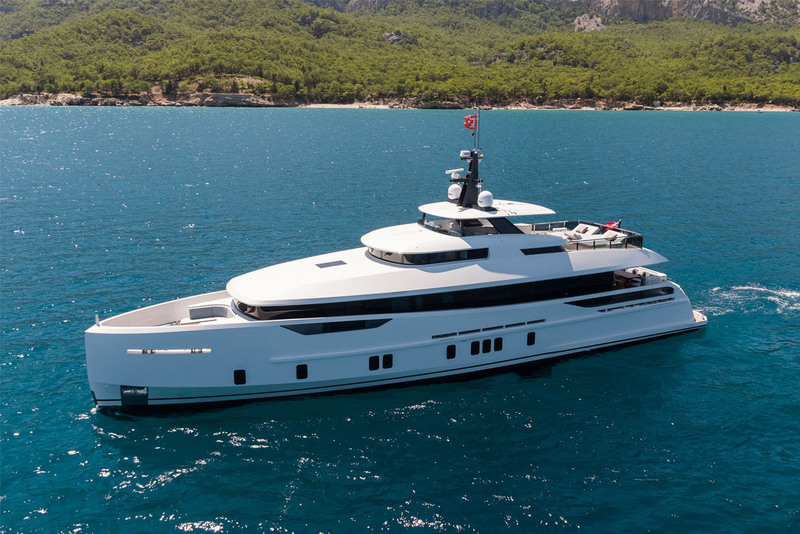 Following delivery to her owner in early July, the 31-meter pocket superyacht immediately started to enjoy a glorious summer between Spain and Turkey. 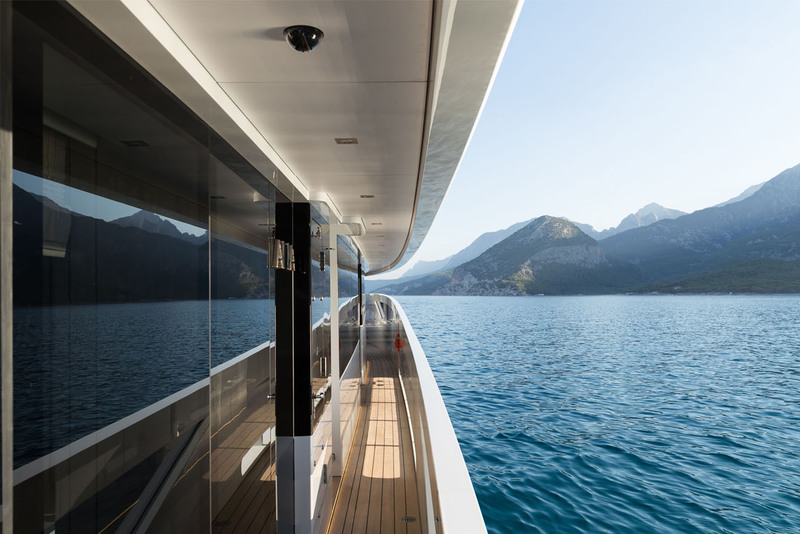 Built of steel and aluminum for global cruising with an impressive range. 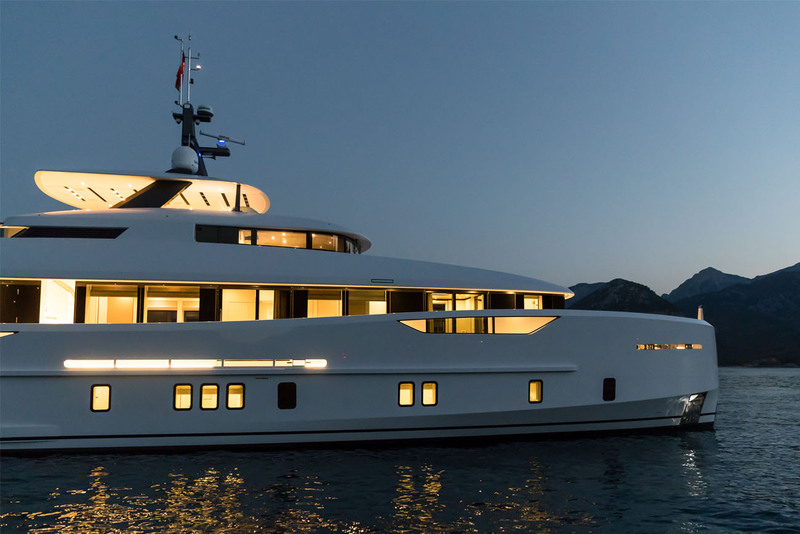 At 235 gross tons, M/Y Virgen del Mar VI has equally remarkable volume for her size. Frank Laupman, Principal at Omega Architects, on the exterior design At Omega Architects, we gave Virgen del Mar VI (ex. 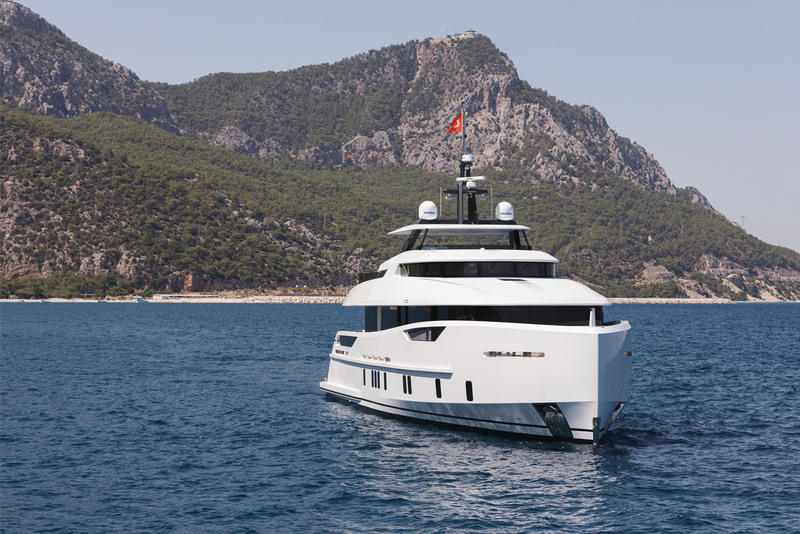 Project Nozomi) a distinctive raised pilothouse profile and dressed her in strong horizontal and vertical lines to emphasize her length and reflect her sturdy, resolute character. 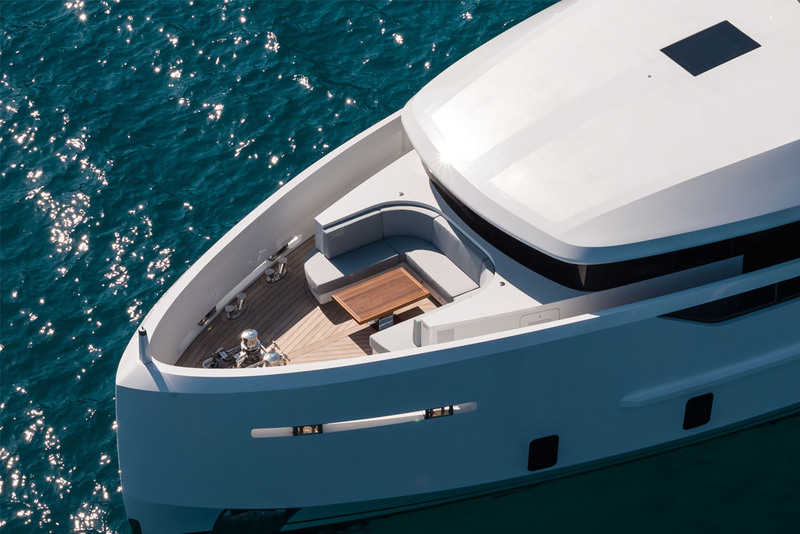 Our signature style with sleek, flowing lines can be recognized in the yacht’s softly angled overhangs aft and forward, providing elegance as well as functionality. 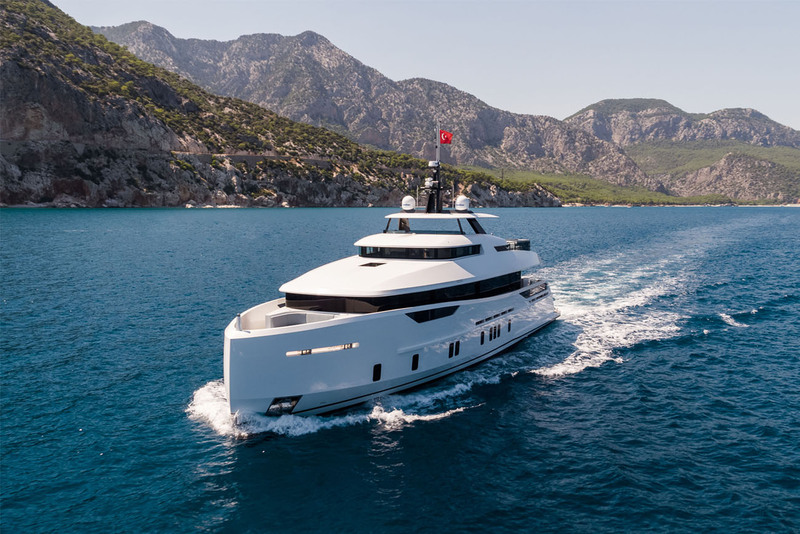 We also optimized the waterline length with a plumb bow and a narrow entry for more efficiency at higher displacement speeds for an impressive cruising range of 4,500 nm. 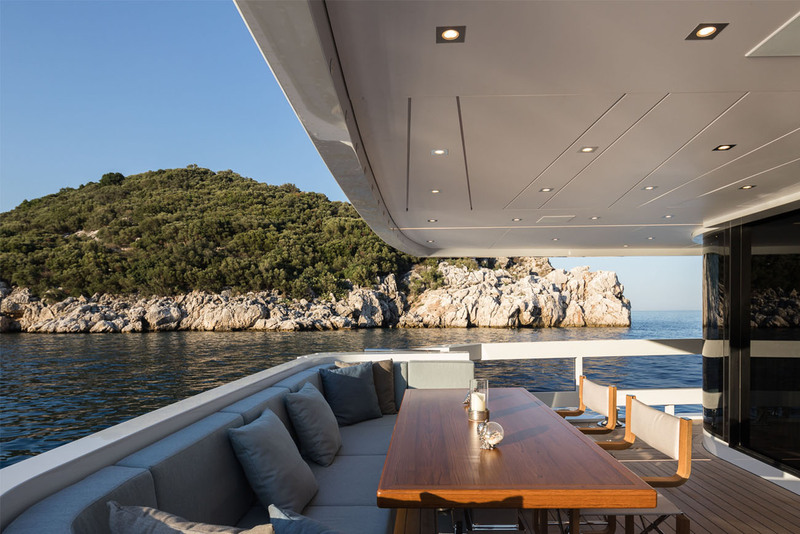 A perfect area to enjoy long summer days and evenings is the comfortable widebody sun deck on the flybridge, which sports a large shaded dining and lounge area with a full bar – all arranged behind the helm station to be close to the action while cruising. 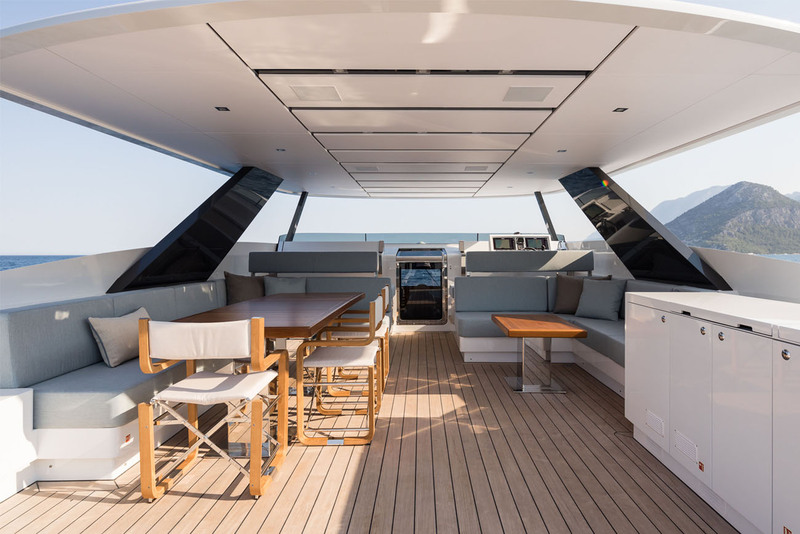 Aft is a spacious sunbathing area offering panoramic views. 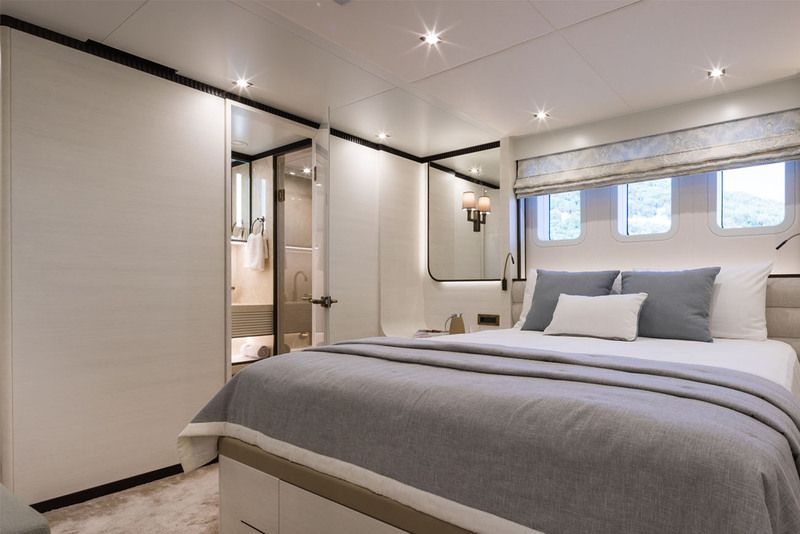 The full beam owner’s suite forward also features full-height windows and similar cutaways that blur the borders between inside and outside, while the side doors offer private access to the companionways and lounge area on the foredeck. 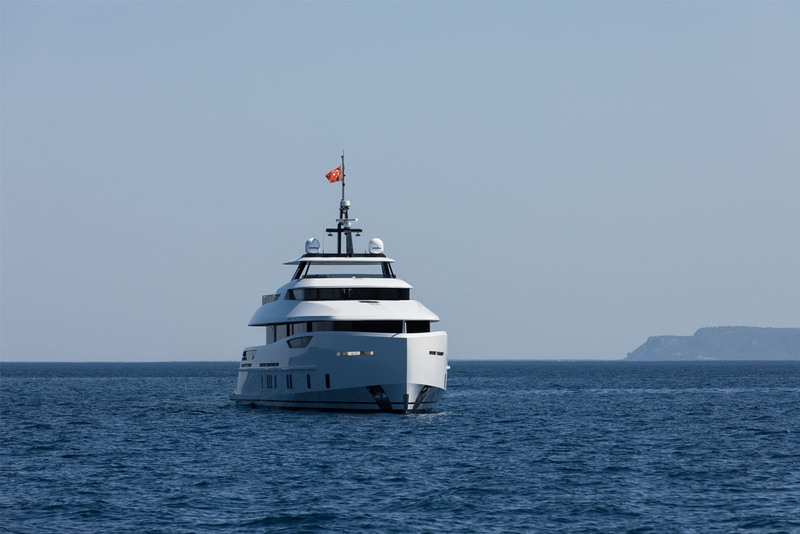 I felt very lucky to have had the chance to visit the yacht at the Alia shipyard before her delivery. 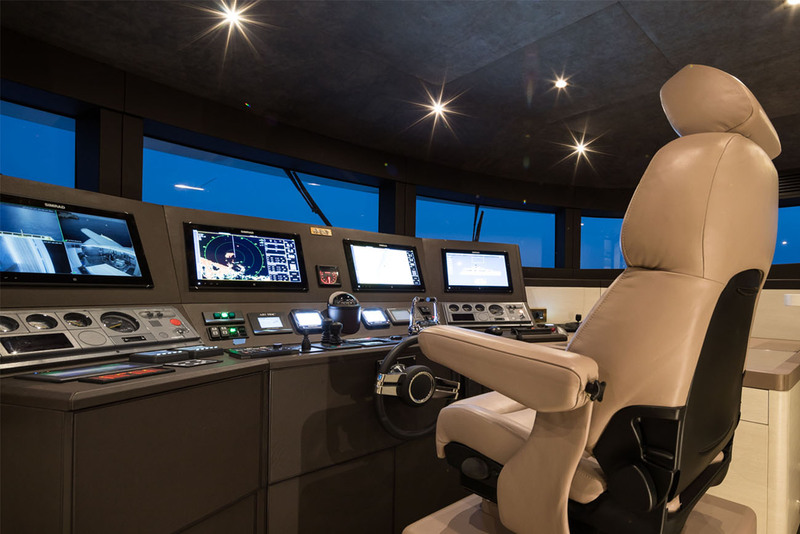 I was truly impressed by the achievement of the yard’s highly skilled craftsmen, who were able to turn our design ideas into three-dimensional reality and build this elegant lady of the seas. The collaboration with Alia was a rewarding experience for Omega Architects and we look forward to realizing more ideas together in the future. And last but not least, we congratulate the discerning owner and wish him many years of joy onboard Virgen Del Mar VI. 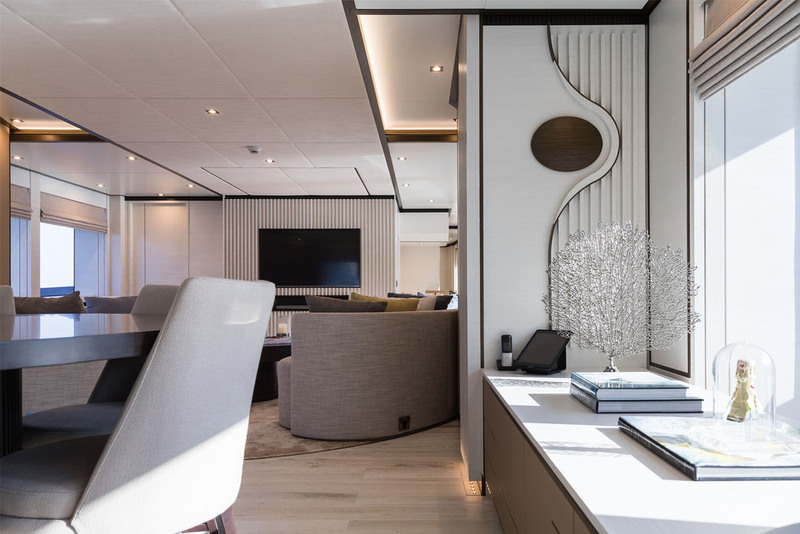 Adrian Chisnell, Project Manager at Redman Whiteley Dixon, on the interior design At 30 meters overall, creating a proper ‘superyacht’ was a challenge - one that RWD was tasked by the clients to achieve and surpass in every possible way. 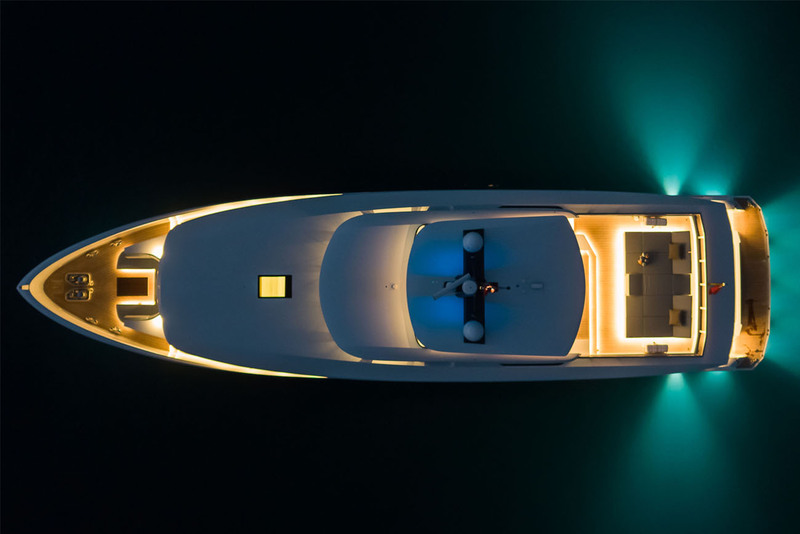 Very few 30-meter yachts have the same feeling of space and amenities usually associated with much larger superyachts. 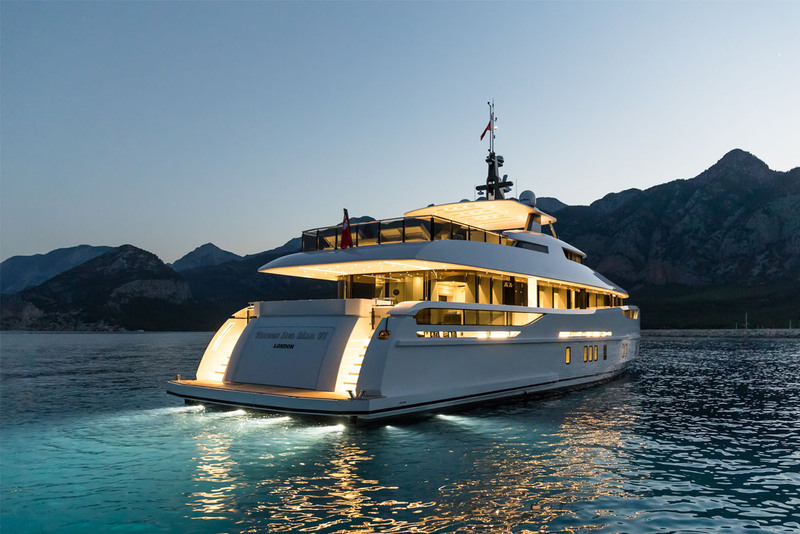 The client’s brief was to create a yacht with larger than anticipated proportions in every space, using all available means to achieve that goal. 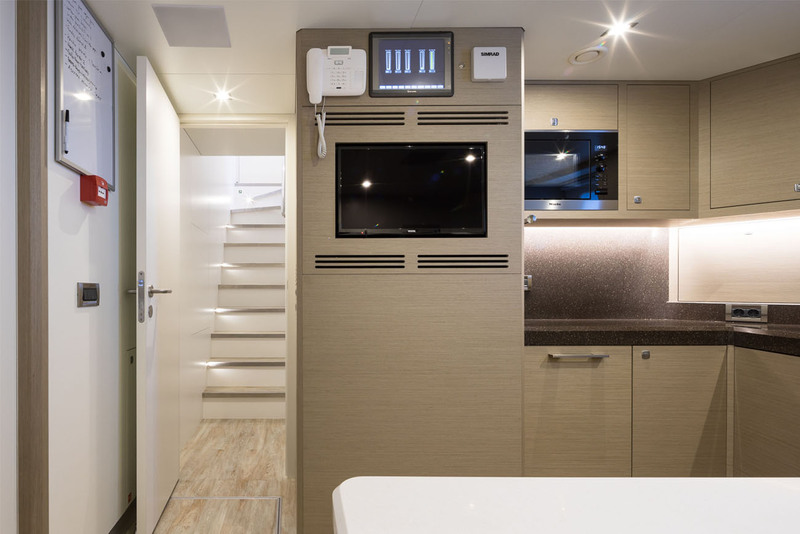 This meant optimising technical spaces, using efficient joinery detailing and storage, maximizing the layout, and making the best use of light and space to simply give the impression of a bigger yacht. 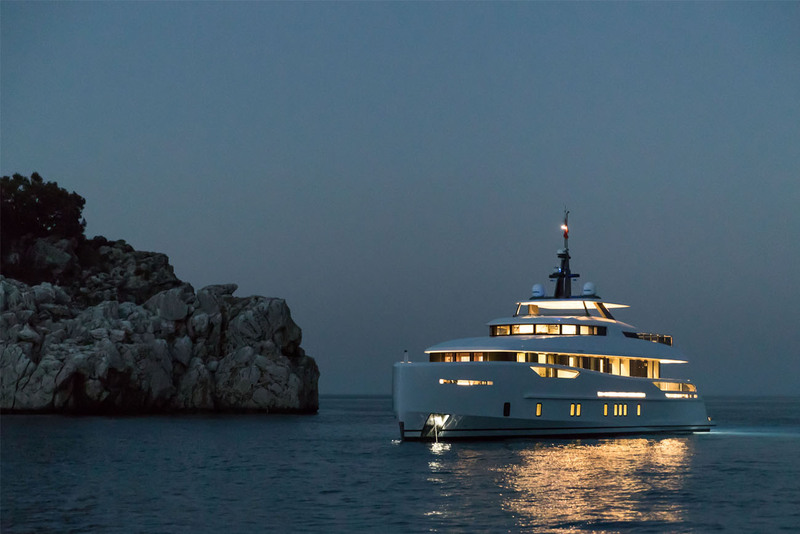 Five generous guest cabins, including a master suite with a private owner’s deck, a large salon, and dining room, coupled with big open deck areas and a highly specified bridge – all within a compact 30 meters and a sleek but ‘go-anywhere’ exterior – make Virgen del Mar VI very special indeed. While providing for formal entertaining, the principal feeling needed to be of relaxed living for family and friends using a palette of light oak and muted colors that have been architecturally ‘lifted’ by dark bronze accent details. 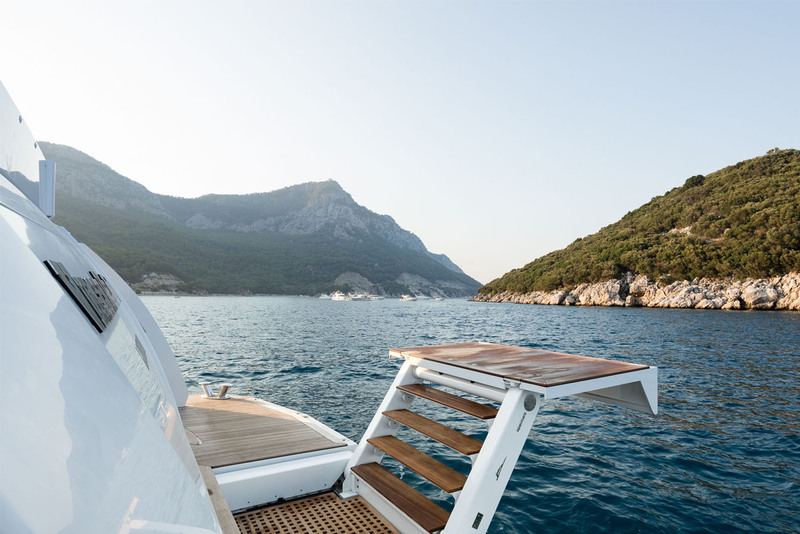 To maintain a feeling of consistency and allow spaces to merge from one to the other, many of these visual themes are continued throughout the yacht. 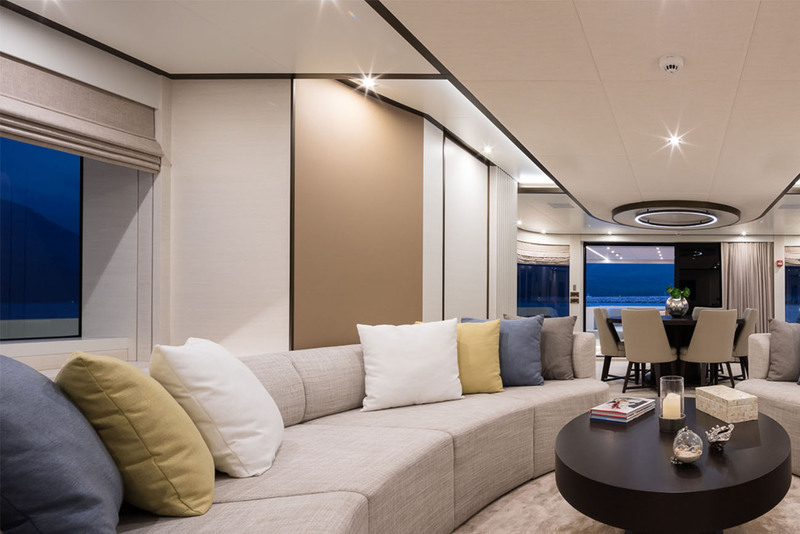 An example of this is the main deck corridor from the main salon to the owner’s suite: the long view, backlit surfaces, and huge glass door panels, combined with the wall of windows along its length, offer a vista rarely seen on a yacht of this size. 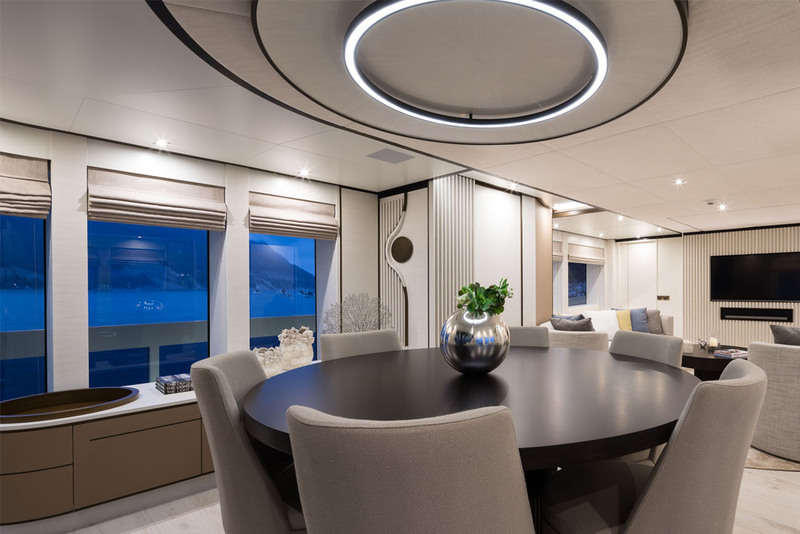 The textures and shapes of materials play a huge part in the interior with leathers, ribbed oak details and elongated dark bronze accents sweeping up the bulkheads. 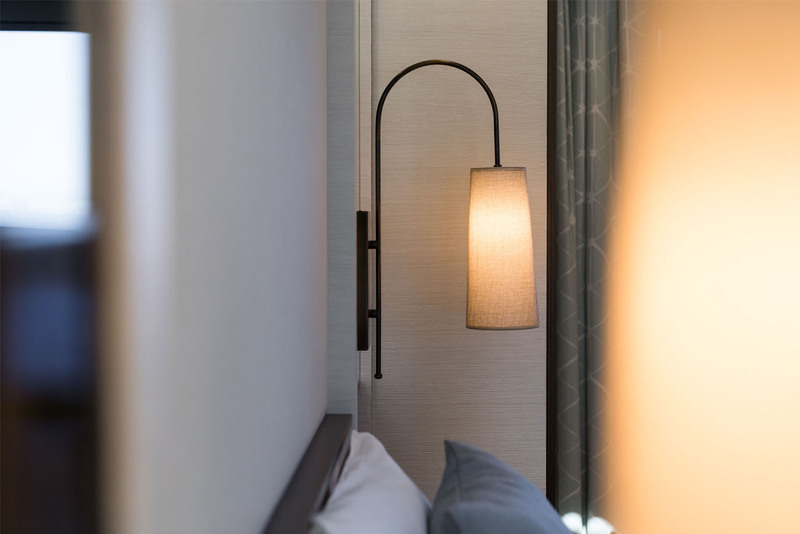 The guest spaces themselves were optimized over a long period to ensure each was as well-organized as possible, including the technical spaces. 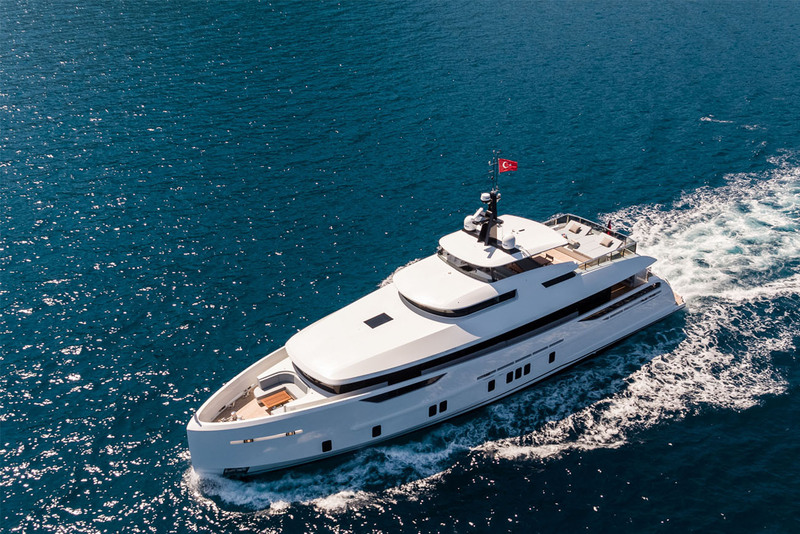 Without a doubt, Virgen del Mar VI represents a big boat mentality in a compact design package.